Ladies, you know how much I travel. Well, here’s a little confession. I would HATE to pick up my luggage after my flight because I was using whatever I collected over the years and none of it was CUTE or CHIC. After a 6-hour flight to LA, I would usually find myself waiting for my luggage with a hint of shame. My bags were beaten up, ripped, off colored, abused, battered and … well, ugly. The set that was in rotation was about ten years old. Luggage wasn’t something I ever remembered to purchase because whenever I got home, my husband would take my bags and put them in the attic. Out of sight/ out of mind. RIGHT? But as soon as a new trip rolled around, the cycle would repeat. I would LOATHE packing in my ugly bags and then I would just hate the entire process until they were nicely put away back in the attic. Well, that all changed this week!! I finally upgraded to totally chic and fab looking travel bags. I mean… they are GOLD. You know I live and die for anything gold. Can you stand this?! Ok, technically they aren’t gold. Technically, the Ocean Drive collection is colored SANDSTONE. Where did I get them from? Ricardo Beverly Hills !! 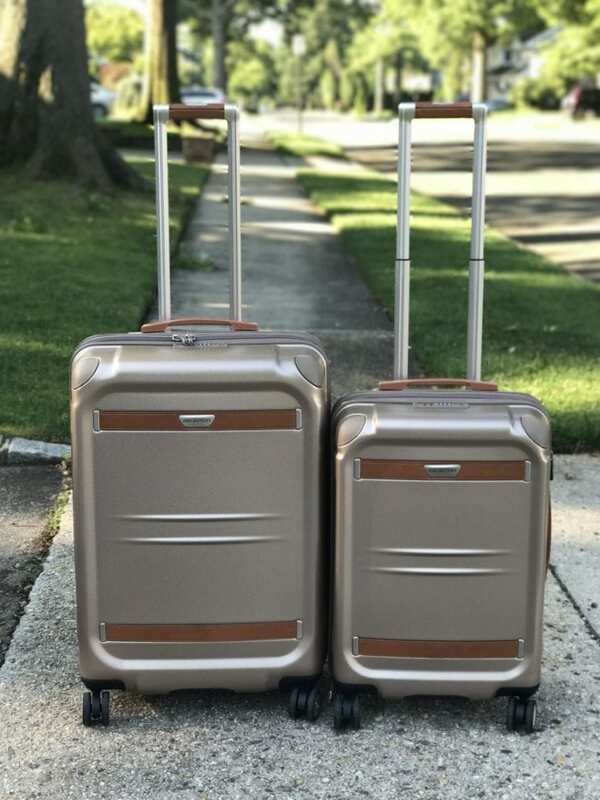 RBH is a California-based luggage brand that sells stylish and high-quality suitcases including accessories. From wheeled bags, tote bags and backpacks the brand has a variety of options to suit any upcoming trips. 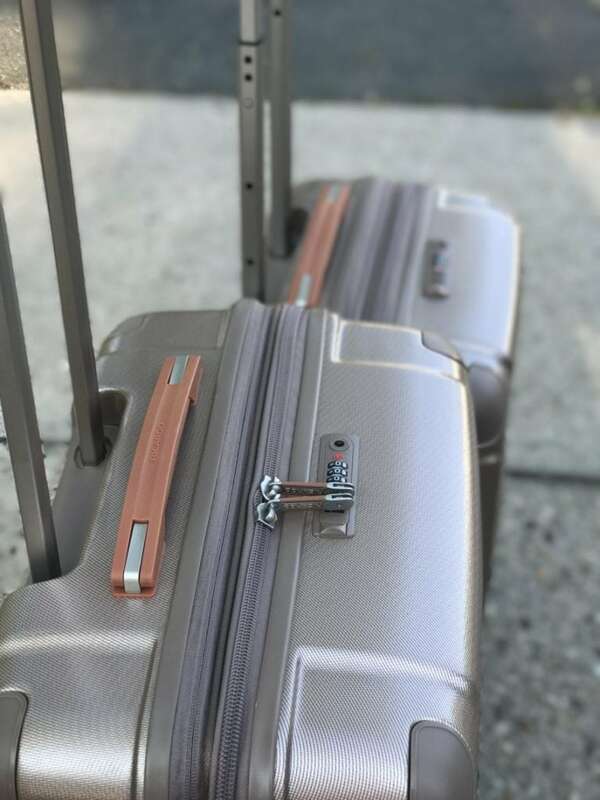 Believe me, these two luggage bags are exactly my style. I am so excited to take them on my first trip. Today, I am heading into Manhattan for a few days and have to bring a ton of clothes because I am shooting something super secret. I will PROUDLY SHOW UP WITH THESE BAGS. It’s all about the extra detail when it comes to fashion, right? Why wouldn’t that extend with your travel accessories as well? I even added another one from the set for you to purchase in case you were thinking about getting the full set. HIGH-PERFORMANCE CONSTRUCTION—The 100% virgin polycarbonate outer shell, made from Makrolon® by Covestro, offers lasting durability; protective corner guards at high stress points protect against impact. The internal frame assembly delivers resilient structure at a light weight. Contrasting leather-look accents add rich detail. EFFORTLESS MOBILITY—Multi-stage retractable handle with ergonomic grip promotes maneuverability; custom 360° dual spinner wheel system glides in any direction, enhancing stability and minimizing effort over a range of surfaces. COMFORTABLE HANDLING—Top, side, and bottom carry grips promote easy lifting and optimal handling. EXPANDABLE PACKING VOLUME—Case expands with the pull of a zipper for 2 inches of added packing capacity. ULTIMATE PROTECTION—Travel Sentry®-approved lock safeguards belongings and allows efficient TSA screening of checked bag. MAXIMUM ORGANIZATION—Two-way zip entry features split-book style opening. A zippered floating partition—including a large mesh zip pocket—creates separate compartments. MAIN COMPARTMENT—Includes pocketed tie-down panels and a mesh zip wall pocket. SUITER SYSTEM—Built-in suiter loop accommodates clothing on hangers in front compartment. TSA-FRIENDLY POUCH—Removable, snap-out, zip-closure pouch offers water-resistant storage of toiletries and other small items. WATER-RESISTANT LINING—Nylon fabric stands up to frequent use. 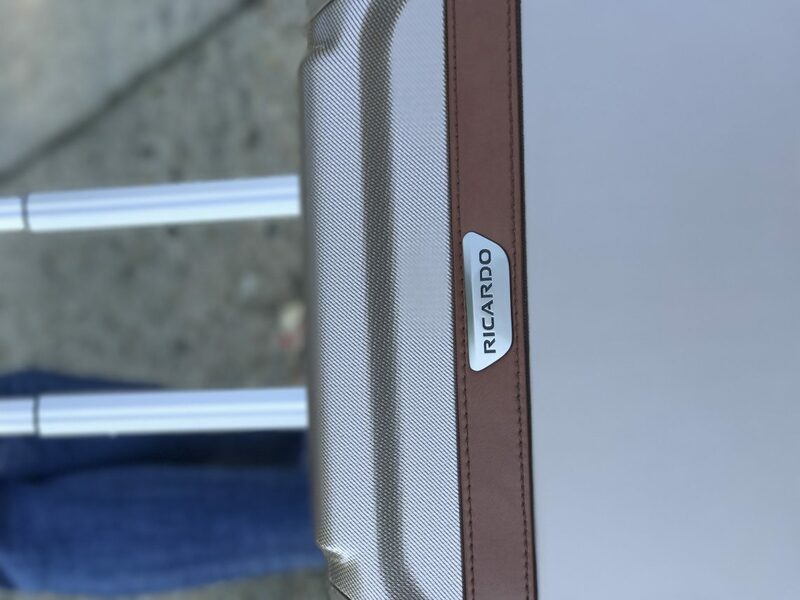 As you can see, the Ocean Drive Luggage Set by Ricardo Beverly Hills is sleek and fashionable. I love the color combination and they are so easy to manuever. I had no issue rolling both these bags on my own. This is very important for me considering I travel so much without my family. Business travel is no fun when you can’t handle your own luggage. These two bags are a breeze to manipulate. 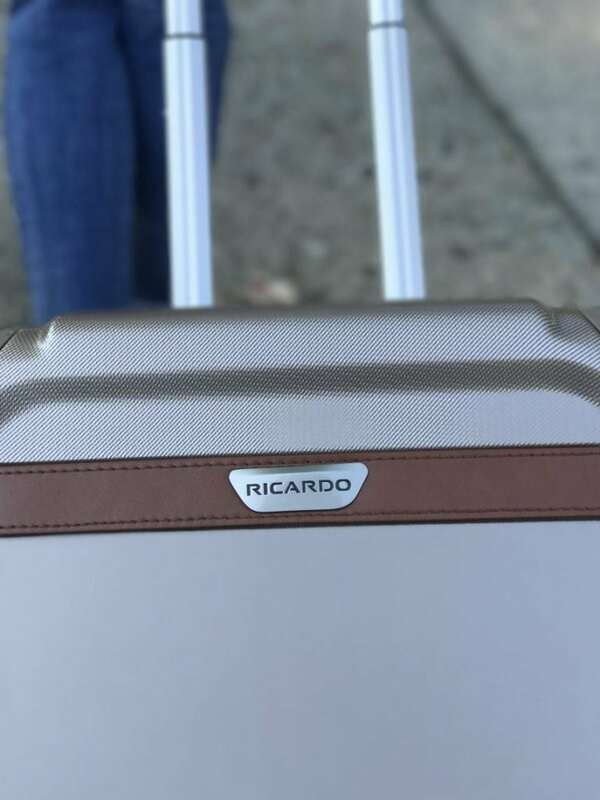 If you are in the market for new luggage or are thinking about an upgrade, be sure to check out Ricardo Beverly Hills. The Ocean Drive set is my absolute favorite, but they have dozens of options for you to choose from! It doesn’t stop here! That luggage sounds amazing! It looks super tough, and it’s so stylish. That’s important to me. I travel a lot so I need luggage that can stand up to all the coming and going. Where were you about three months ago? I was looking everywhere for new luggage and if I had saw this before I bought my luggage I’m pretty sure I would’ve bought these. Oh those are nice! I like that they are a matching set. Looks like great quality! Traveling with these would be super nice. I definitely appreciate quality, security and durability when it comes to my luggage. That is a really cute luggage set! I need some new luggage badly! 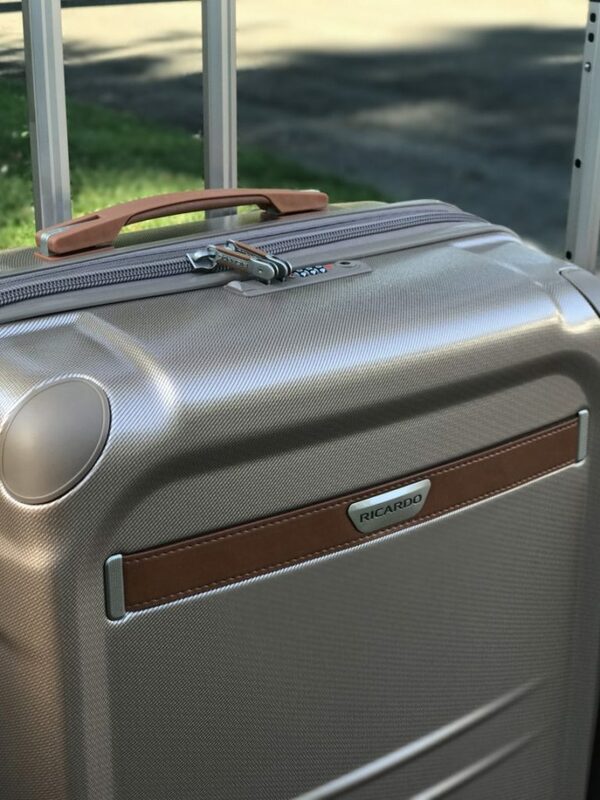 I’ve been looking for some new luggage that is stylish and functional. These look amazing and can fit so much. I am an overpacker so I need as much room as I can get. I will have to look into getting myself a set for my next trip. love that luggage. i have one good bag and the others are like what you described. i need some more good ones especially with all the traveling I do. I love that sleek design! They look so modern and not grandma-ish!! 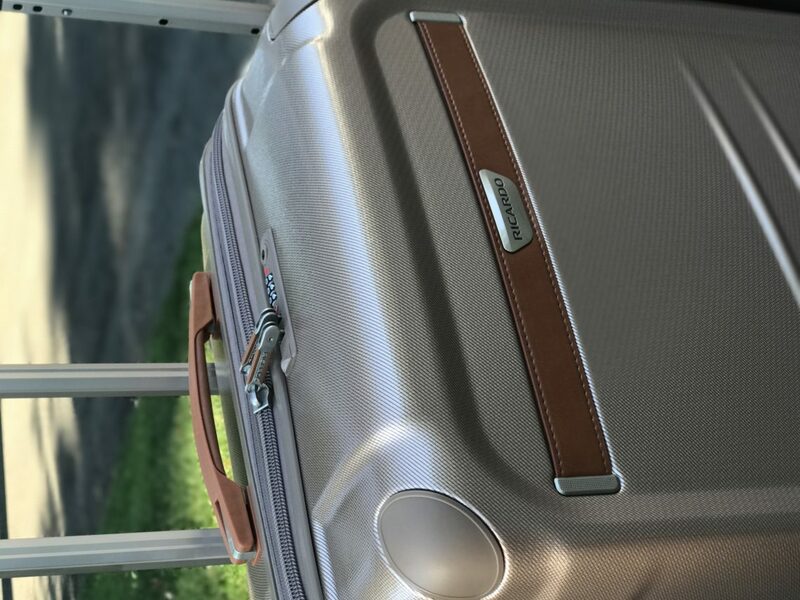 Sounds strange, but I hate that the most about most luggage. This looks so nice! 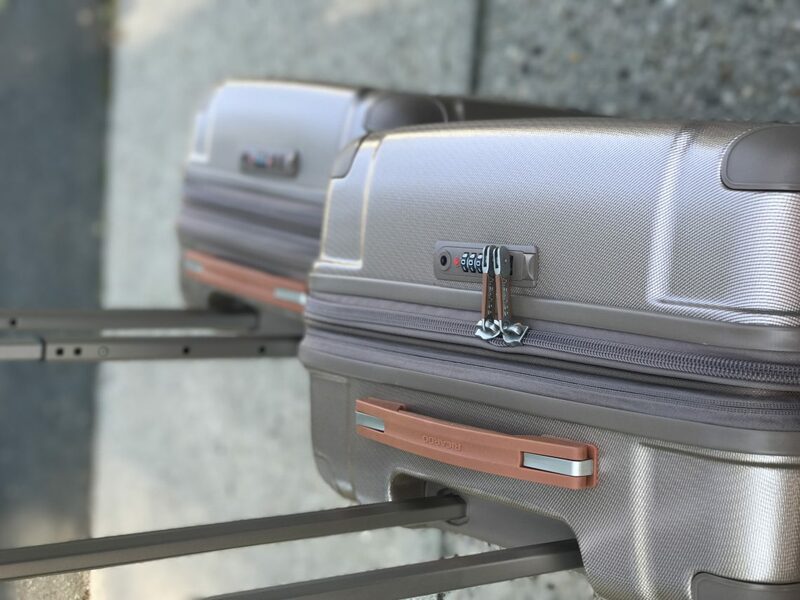 We are in the market for new luggage since our old luggage is chunky and outdated! Love the sleek design on these! 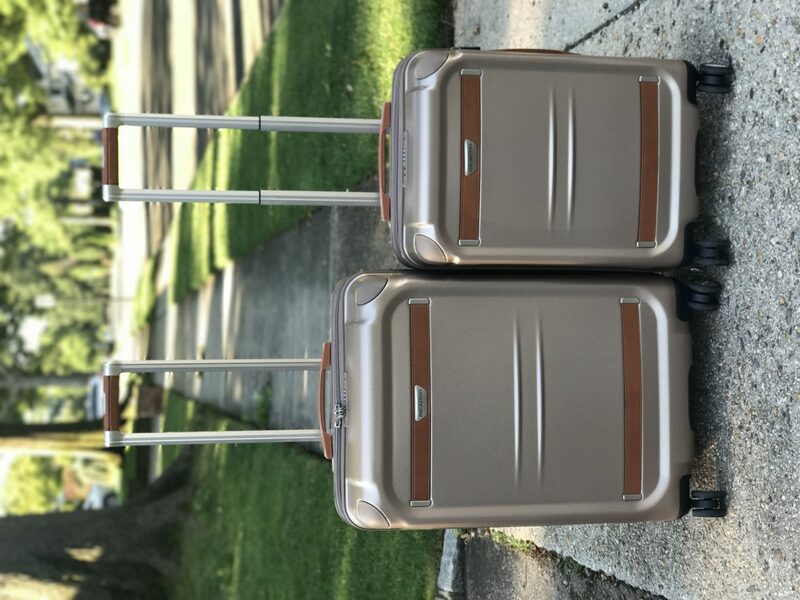 These are beautiful pieces of luggage. I need to look at getting a new set. I love the color you have chosen. I feel the same way about my luggage too before I bought new ones. I think this time around, I definitely need to replace the ones that I have and these are my top choices! I love all the cool features and the spacious interior as well!